MIASCOR extends support for the ASEAN 50: US Military and Heads of State — Citadel Pacific Ltd.
Another feather is added to the cap of MIASCOR as it became the preferred ground handling service provider for the United States Military, US President Donald Trump and his full entourage, and several dignitaries arriving to the Philippines in time for the Association of Southeast Asian Nation (ASEAN) 50. MIASCOR Ground Handling (MGH) specifically handled flights of the arriving and departing Heads of State from the United States, Vietnam, Singapore, and Australia. MGH also served the flight of the Russian Minister of Defense. While ramp and passenger handling services were carried out in Clark upon arrival, all VIPs had required the same support for their outbound and inbound flights to and from Manila. “The entire team of MIASCOR is pleased and honored to have had the privilege of welcoming the highest officials from different countries through our ground handling services. Our expertise, commitment, and capabilities were again validated with the confidence given to us. We look forward to serving our VIP guests on their next flights to the country,” shares MIASCOR Head for Ground Handling Sales Rodi Sarile. The arrival of Air Force One, a Boeing B747 aircraft carrying the President of the United States, received the same handling support from MGH. 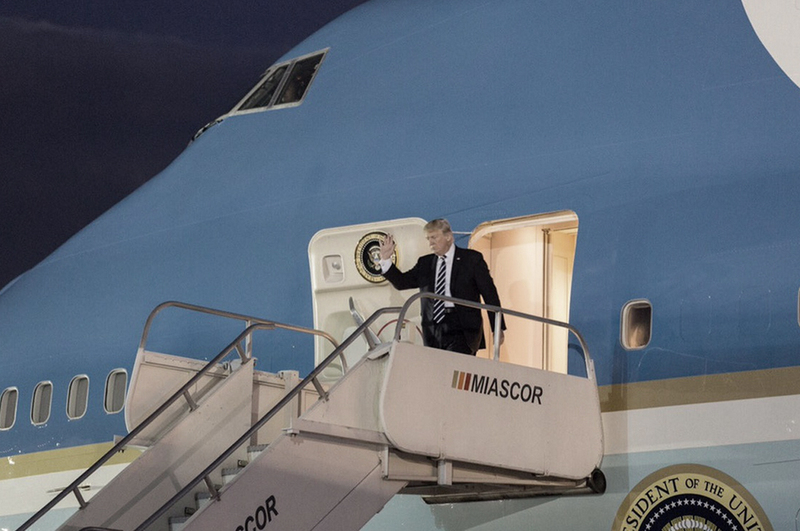 “We provided the passenger stairway that was utilized by no less than President Trump as he descended from his plane. Our team was also responsible for handling his office’s entire security team and entourage, as well as all support flights that arrived with the President,” adds Sarile.